Although your pet may appear to be healthy, regular pet health checks and pet vaccinations are very important. A thorough vet check by our Coffs Harbour or Toormina vet clinic may spot problems in the early stages before they become much bigger problems. These include weight loss or gain, dental disease, a heart murmur, an internal tumour, or a skin or ear condition you may not have noticed or thought was normal. Additionally, it also gives you time to speak to the vet about looking after your pet and to ask any questions you may have. Animals age much faster than humans, so problems can develop much more quickly. Consequently, a pet health check is included with every vaccination so all pets should be seen at least once a year. 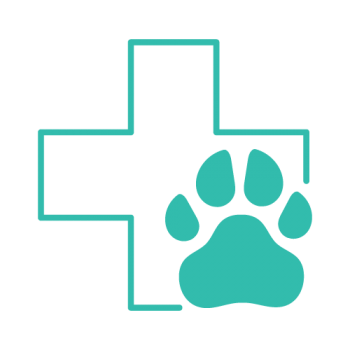 In addition, older animals or animals on prescription medications should be checked by a vet at least every 6 months. Vaccinations protect against preventable diseases. Furthermore, vaccinations are substantially less expensive than the cost of vet treatment for the diseases they protect against. Vaccinations protect your pet from transmissible diseases in boarding facilities, at parks and even when they visit the vet. In addition, if your pet has to be hospitalised for any illness, their immune system may already be compromised so you want to make sure they are protected. How often should my pet have Pet Health Checks and Pet Vaccinations? To begin with, puppies and kittens receive a core vaccination course consisting of a series of three vaccinations during their first 16 weeks. After that, we’ll recommend a schedule of boosters going forward. For an older dog or cat, vet checks and vaccinations are generally recommended annually. And remember, an annual Canine Cough (or Kennel Cough) vaccination is essential if you board your dog. See http://vetscoffsharbour.com/resources/puppy-care/ and http://vetscoffsharbour.com/resources/kitten-care/ for more information. Ensure your furry friend receives Pet Health Checks and Pet Vaccinations, Call 02 6652 1566 to arrange an appointment today.